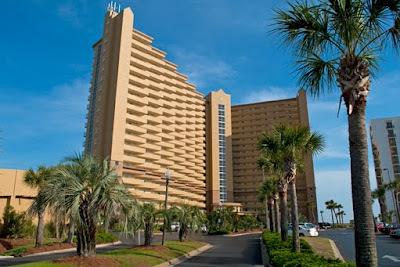 The Pelican Beach Resort in Destin has been chosen 2010 Best of Destin Award by the U.S. Commerce Association. I can certainly understand why! With a great staff and beautiful facilities and a gorgeous beach, the Destin Pelican Beach Resort should win this award every year! Here is a link to the article on the Pelican management site. I just called my renters(#1004) who checked in today at the Destin Pelican beach Resort and I asked them about their stay so far. They began by asking me if the water is always this pretty? I said I don't know but send me a picture and I will let you know. I did take a pretty good picture off my balcony and I will include it here along with the picture they just took off my balcony. My picture has the rail in the picture. I believe the water is much prettier in the picture they sent me. They told me it reminds them of the Virgin Islands and I would have to agree. Water is gorgeous right now in Destin. Most of the snowbirds are booked already at the Destin Pelican Beach Resort. The normal snowbird rate for one month is $1300 plus booking fee and Florida tax. For two months the rate is $1200 plus $50 booking fee and Florida tax. I have a snowbird booked for February but my January is open for the whole month. How about a last minute snowbird rate at Destin's Pelican Beach Resort for January at $1295 total . To get this deal, you have to call me first and do so before the end of December 2010. Destin's Pelican Beach Resort booking fee is going up on January 1st from $50 to $100. To avoid this increase, you can book your Destin Pelican Beach Resort vacation on or before Dec 31st, 2010. Also, the management company at the Pelican has published discounts from 15% to 25% for early bookings. Be sure to check those Pelican Beach Resort discounts and if my unit is available, I will beat those discounts considerable. The Pelican Beach Resort Destin has completed lots of upgrades and renovations this year and I wanted to share those with you here. In a future post I will cover the items on the list to be completed in the near future. I was at the Destin Pelican Beach Resort over the weekend and inquired about availability for Snowbirds. It is not too late to book your 2-3 month stay at the Pelican Beach Resort Destin. There are still a few condos available including mine! The Pelican Beach management company is offering 1 bedroom condos(on the beach) for $1200 a month(2 month minimum). Here is a brochure for the Snowbird deal. My family and I lifted off today at 11:40 from west Tennessee and 2hrs and 40 minutes later we had landed in Destin in route to the Pelican Beach Resort. The weather is beautiful and the resort has only a handful of guests. After getting into our rental car the girls wanted to go eat then shop at Marshals and Target and we didn't even get to "The Commons" today. Guess that will be tomorrow. My two daughters are each laying on their individual bunks watching their favorite tv shows. Each bunk has its own tv/dvd combo units. If you are looking for a great place for a family vacation that doesn't cost an arm and a leg then consider renting my Pelican Beach Resort Destin condo. The prices vary per season so contact me for exact pricing.We will be here until Sunday but have availability after that. You can just text me at 731-589-7841. My wife and I tried really hard to fly to Destin this past weekend to stay at the Pelican Beach Resort. The weather did not cooperate two days in a row so we are suffering from withdrawal pains. If our Destin Pelican Beach Resort unit #1004 does not rent Thanksgiving long weekend then we will be there. My wife is already talking about the Christmas shopping she and our girls are going to do there at The Commons. If you like shopping any at all then you will love what awaits you in Destin at The Commons! For years my family and I have been traveling to Destin,Florida and when the weather permits we fly our Beechcraft Sierra down to Destin. We are located in west Tennessee in the small town of Dyersburg. When we fly to Destin, the trip usually takes about 3 hours. For the last several years we have parked at Miracle Strip Aviation FBO and they were the only place to park. About 6 weeks ago I noticed while surfing online that they(Miracle Strip) now have some competition. Destin Jet FBO opened last year and they are located near the end of the runway 14(north end). I read about the new FBO and even called them to confirm that they were still open. I talked to Crystal there and she told me that if I would park there I would never forget the service I received. I flew down there about 3 weeks ago and she was right. I was treated like a king. Here is a video of their grand opening last year and here is a link to their website. I would be happy to talk to you about the airspace down there and how to set up to get down the air corridor to Destin. I would also like to give you a great rate if you rent my beachfront condo at the Destin Pelican Beach Resort. The good folks at Destin Jet will take you to my condo and also pick you up when you are ready to depart. Crystal, if you have a Google alert set for Destin Jet please have me a parking spot ready as my wife and I are flying in this Thursday. A few weeks ago I had an inquiry on one of my posts here on my Destin Pelican Beach Resort blog. Trish wanted to see about booking my condo to visit her daughter who is in a special school at Eglin Air Force Base. The daughter is fresh out of West Point and a second lieutenant in the U.S. Army. Trish called me today to tell me how much she and her daughter are enjoying the condo. 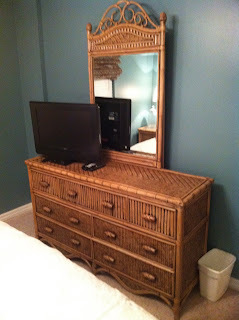 She talked about all the improvements we have made since the first time she found my Pelican Beach Resort Blog. She also told me she wanted to enter some comments and pictures on one of my blog posts so Trish, this post is for you! Thanks again for renting my condo and all the compliments you gave me today. Also, please tell your daughter how much we all appreciate her serving our country. I look forward to you sharing your comments and/or pictures with my readers here. About 3 weeks ago my brother in law and his family stayed at my Destin Pelican Beach Resort condo during a fall break vacation. 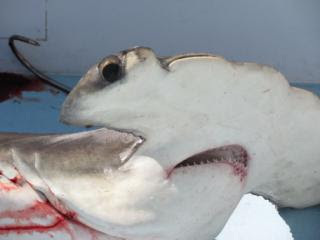 They went out on a deep sea fishing trip and caught lots of fish and a big hammerhead shark that weighed 228 lbs. He won first place that Saturday in the Destin fishing rodeo. 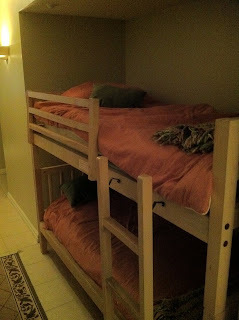 This past weekend he went back to Destin and my condo to do some work on the bunks and to deep sea fish. My friend James and I also joined in on the work and fishing(of course we stayed in #1004 Pelican Beach Resort). 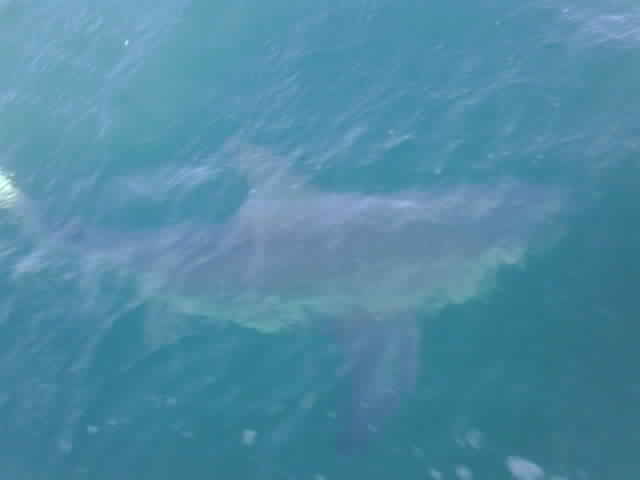 Here is a link to a post(has an underwater video of this shark) I did about that fishing trip and as you can see we caught and released a pretty good shark also. The Resorts of Pelican Beach is located only about 5 minutes from the Destin Harbor and Fishing Docks and is a great place to stay for your next Destin deep sea fishing adventure. This past weekend I traveled to Florida to build new hallway bunks and remodel the master bedroom in my Destin Pelican Beach Resort condo. My brother-in-law and another friend completed our work there in 2 days and even found time to work in a fishing trip. I will share my fishing adventure(hint-8'shark)another time. 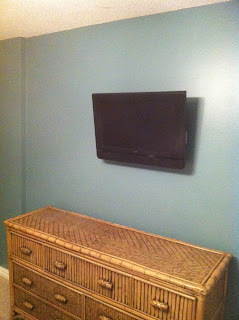 Here are pictures of before and after of the two projects we completed. 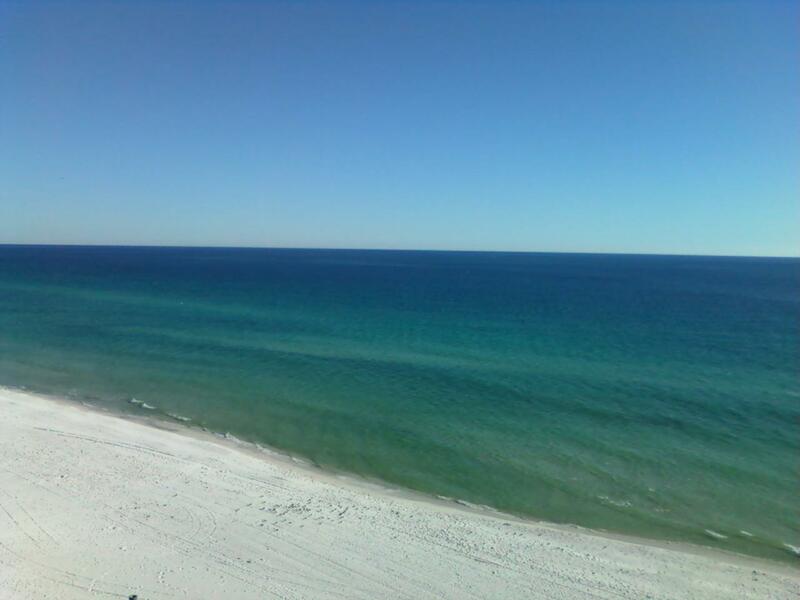 Are you looking for a Destin condo special for your Thanksgiving vacation? Well, look no further than Destin Pelican Beach Resort unit #1004. You and your family are certain to enjoy this Thanksgiving holiday on one of Florida's most beautiful beaches. The Pelican Beach Resort sits directly on the sugary white beaches of Destin Florida over looking the emerald green Gulf of Mexico. You will be amazed at unit 1004's unobstructed ocean view. Unit 1004 is high enough to see miles and miles of ocean yet low enough to hear the soothing sounds of the ocean waves. You are sure to enjoy the private balcony especially at night. The sound of the ocean, the twinkling of the stars, and the shimmering of the moon will certainly give you a thankful heart. $89.00 per night plus Florida sales tax(5 night min) or weekly 575.00 plus Florida sales tax. Visiting Destin Beachfront Condo blog for the First Time? If this is your first time visiting my Destin Beachfront condo blog, then let me welcome you and tell you how to get around here! If you will notice over on the left side there is a calendar. That is my availability calendar and I keep that pretty much up to date. Down below the calendar you will see the word "Labels". These are posts written here and the label describes what is in the post. For instance, you can see several posts that include videos I shot at the resort under label "Destin Pelican Beach Resort videos". I believe there are 7 videos available for your viewing. Another label you will see is Fishing in Destin. There is one post there that I did about fishing in Destin. I plan to add another post under this label after I get back from fishing in Destin this coming weekend. The first label you come to is 1(pictures of unit #1004). There are three different posts with pictures of either my unit or of the resort itself. This November spend a relaxing week on the beautiful beaches of Destin Florida for only $599.00. Whether you're needing time for two or wanting time with the whole family, Destin is definitely where friends and family love to gather. The weather is normally in the mid to high 70's which makes pool and beach time very pleasant. Restaurants aren't crowded and the shops are usually offering discounted clothing and souvenirs. I've been to Destin in every season and November is honestly my favorite month. If you are thinking of taking a few days off and would like a beautiful Destin beachfront condo at a great price I have just what you need. You will not be disappointed! The Destin Pelican Beach Resort Unit 1004 is beautifully decorated and offers a breathtaking unobstructed view of the gulf of Mexico. Pelican Beach Resort is filled with all the amenities you could desire. $599 plus 11% Florida sales tax is all this fall getaway week will cost! Call Mike today(731-589-7841) to book your fall vacation in Destin,Florida and at the Pelican Beach Resort. A couple of weeks ago I ran into my old friend "Rabbit" at McDonalds and I asked him if he was due for a vacation. He was there with his wife Laura and they both said at the same time, "we want to head down to the coast in next couple of weeks". I then mentioned a beautiful 1 bedroom Destin beachfront condo to them and Laura wanted to see pictures. I referred her to this website and the next day she called and said sign me up. I have known Rabbit for a long time and I am excited for them to stay in my Destin beachfront condo for a reduced "great rate". I will be following their 5 night stay with a little maintenance/fishing trip of my own. My brother in law and I are rebuilding the hallway bunks and plan to include some recessed lights and recessed tv/dvd players for both levels. Frommer's has chosen 12 top vacation destinations for 2010 and Destin and the Florida Panhandle are part of the group. There are only two places in the U.S. that made the cut; Florida Panhandle and Hawaii. In the article it discusses why the Destin area was chosen and also talks about the jealousy of many northerners calling this area the "redneck" riviera. Here is the link to the complete article of all the chosen destinations around the world. Destin and the Pelican Beach Resort have been chosen by my family as the #1 vacation destination by our family! My family and I just returned off a 7 day cruise to the Virgin Islands. We had a great time but my wife and I agree that there is no place prettier or nicer than the beaches of Destin. While we were gone, we had some VRBO inquiries and other inquiries about future reservations and pricing. If you tried to contact me while I was gone, please call me back to book your vacation to unit #1004 and the Destin Pelican Beach Resort. My wife just called me all excited to tell me the BP incentive $200 money card has been started back up. I mentioned it last time but they were gone within 2 days. Here is a chance to stay at the resort at an already ridicoulous price and have a $200 money card handed you just for showing up. Here is a link to the program and believe me you better hurry to book and grab the cash card. My advice for anyone trying to get this card is to go ahead and make the reservation and starting at midnight tonight keep clicking on the visitor bureau link. Zack and his family checked in late Thursday night for a 7 day vacation on the beach in Destin. This family is from my hometown of Dyersburg,Tn. I suspect there are several families like Zack's from Dyersburg and from the church they attend(Springhill Baptist church). I checked in with Zack on Friday and he said his family is having a great time and the condo is just beautiful. I am going to see if he has his computer with him and if he will comment on this blog post about his vacation so far. If you are looking for a great place to spend your fall break then look no further than the Destin Pelican Beach Resort and unit #1004. My availability calendar is over on the left along with pictures and videos of past vacations. Are you looking for a last minute deal on a Florida beachfront condo rental during August 2012? Just check the calendar over on the left side for availability. Paula, I know you are going to enjoy your 7 night stay starting today. My wife and I have been remodeling our unit. You should love the new kitchen cabinet doors we just installed. How about the new bath vanity? I have that missing small glass globe for the new kitchen ceiling light that we just installed(globe broken in the box) and will install it next month. When your sister and her husband come, make sure to break out the extra foam pad we have stuck in the closet. That is for the sleeper couch and will make it very comfortable. 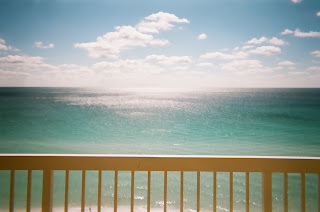 If you get a chance, please comment on this post and tell my readers about the Destin Pelican Beach Resort, my unit #1004 and the beauty outside(especially while sitting on the balcony drinking a cup of coffee). I bet you forget all about surgery! P.S. Thank-you for referring all your friends you work with at the hospital. My family and I took a quick trip to Destin over the labor day holiday weekend. While my family was playing, I was working on projects in the condo. 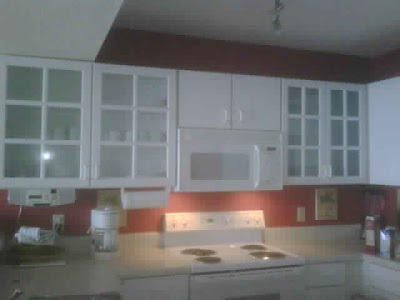 A few posts back I wrote about one of those projects and have a picture of the new kitchen cabinet doors I installed. 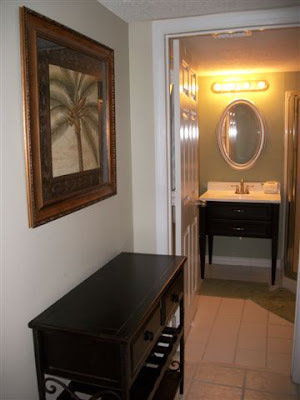 The other project I completed was a new vanity in the hallway bath. Here is that picture! While in Florida labor day weekend 2010, I shot this short Destin Pelican Beach Resort video after most of the people had left the beach. During that Saturday early afternoon, there was almost no place to sit on the beach behind the Pelican. Did you know that the Pelican Beach Resort just got a "paint job"? At last years owners meeting they asked us about the colors they had picked out for the new colors of the Pelican. I wasn't too sure about their selection but now since they have finished, I am quite pleased. Have you ever been driving down Hwy 98 in Destin at night and wondered which high rise was the Resorts of Pelican Beach? While I was there last week I shot this picture. My family and I arrived in Destin,Florida right before midnight on Thursday night. Of course we stayed in our condo at the Pelican Beach Resort. Although my daughters each got to take a friend, it was also a working vacation for me. We also found time to swim and lay out on the beach.I guess my favorite activity was swimming and picking up shells at Navarre. I wrote a post about that. When we checked out yesterday morning(labor day) the girls at the front desk told me the resort was 95% full and all Destin Pelican Beach Resort one bedroom units like mine were totally booked. 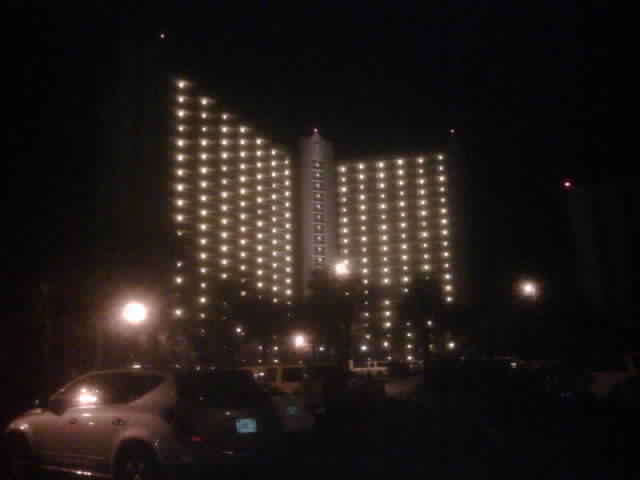 My family and I have been vacationing in Destin for the last 10 years and staying at the Pelican Beach Resort. I want to share our family secret with you concerning where you can go and find valuable "loot". Actually these valuables are shells of every shape and size. Every time we collect these shells, we put part of them in our rental condo(glass shell and sand display). The shells keep disappearing out of this display but I guess it is because our guests do not know our secret. Here is what your family needs to do to find all the shells you want. 1. Load your car with masks and snorkels and kids with swimming suits already on. 2. Upon leaving the Resorts of Pelican Beach, turn left and drive to Navarre. (about 25 minutes). 3. Upon entering Navarre, turn left and go across the causeway bridge into Navarre Beach. 4. Upon reaching the new Navarre beach pier, turn right and head toward Pensacola on the highway. 5. Go a mile or so until you reach the end of all the high rises and beach homes. 7. Walk about 800 yds to the beach and then begin shell search wearing mask and snorkel in 2 foot to 6 foot of water. 8. Be sure you have several bags to load up all the shells you find. Here are the youth activities scheduled for Sunday afternoon Sept.5th, 2010 at Destin's Pelican Beach Resort. While the youth are engaged with these, Bill Garrett will provide live entertainment for everyone else. Here are the youth activities at the Destin Pelican Beach Resort for today Sept. 4, 2010. I was surfing the internet a few minutes ago and found this neat collection of videos that are labeled with Destin Pelican Beach Resort. Here is the link to the entire collection. Over the weekend I had a Snowbird VRBO inquiry for my Pelican Beach Resort condo for the months of January, February and March 2011. I also told him the month of March rates jump after the 14th of March but the rate for above two months and 1/2 month of March is only $2950(plus Florida tax). For the months of January and February the rate is $1150 each month and waiving the $50 cleaning fee then add Florida tax. The rate for March 1 - March 14th is $650 plus tax. If you are a snowbird looking for a winter home in Destin, take a look at the pictures and videos over on the left side and see why this deluxe plus Destin beachfront vacation condo is the right fit for you! P.S. What about the view off my balcony? I was visiting the online version of the Northwest Daily News today and ran across this beach and Gulf of Mexico live Cam(camera taking live shots every few minutes). It is located somewhere in Okaloosa County right on the beach. Click here to view what's happening on the beach in Okaloosa County(Destin is in Okaloosa County as is the Pelican Beach Resort). A few days ago I advertised a fantastic special price for renting a Destin beachfront condo during the last few days of August. A new renter checks in tonight for 3 nights so only 9 days left to take advantage of my Destin Pelican Beach Resort lowest price guarantee. My rate is so good for those last days of August that if you find an advertised lower rate on a deluxe plus 1 bedroom condo at the Pelican then I will beat it. That is how confident I am in my low rate. I hope while you are here reading this that you will look over on the left side and look at some posts with pictures and/or videos. This Pelican Beach Resort condo is one of the finest available for you to rent. How about that view up above? Go out on my balcony and just sit and listen to the waves coming ashore. Call or text me at 731-589-7841 to reserve your August vacation right now. I was looking at my calendar and noticed I still have not rented my Destin beachfront condo for the last part of August. Therefore, I am offering a hugh discount of 30% off the normal published rate at the Pelican Beach Resort for 7 nights(from 8/20 - 8/31). The Destin Pelican Beach Resort management company is running a special 15% off regular rates but I am doubling their discount(only during this time period). The rate would be $823.20 plus $50 fee and tax. Pelican's rate at 15% off would be $999.60 plus $50 fee and tax. If you are interested in renting the nicest one bedroom condo on Destin beach during this time then contact me on my cell phone at 731-589-7841. Yesterday someone asked me why I don't publish the rates for my Destin Pelican Beach Resort condo #1004. 1. They do have fixed rates for Pelican Building which they base their discounts on. 2. Then depending on how occupancy and reservations are going, they will offer discounts off those published rates. The way I set my rates is normally determined by pulling up their rate sheet, then look at the current % off "hot deals" then take an additional 5% off that discounted rate. By doing it this way, I can make sure I am giving you a better deal than you can get from the Pelican Beach Resort. Many families are now home schooling which allows them to travel during off seasons. They are able to take advantage of the great off season rates as well as last minute deals. Not only are there great prices, but the gulf states enjoy pleasant weather and fewer crowds during this time. We as a home school family have traveled to Destin, Florida each year for the last 12 years in the late summer or early fall and have always enjoyed staying at the Destin Pelican Beach Resort. The Resort is conveniently located in the center of Destin close to many restaurants and shopping. It is located right across the street from the Big Kahuana Water Park yet with so many amenities and being directly on the ocean you may never want to leave the resort. The Pelican Beach Resort loves families and goes to great lengths to make your vacation great for the whole family. As Home Schoolers ourselves, we are familiar with the sacrifices a family makes in order to fulfill that joyful responsibility. As owners of Destin Pelican Beach Resort Unit 1004 we would like to offer you a special Home School Discount. Please call or text Mike at 731-589-7841 for your special price. My wife and I have some friends here in Dyersburg,Tn that home school their kids but presently they are enjoying their vacation at the Destin Pelican Beach Resort. James and Janet checked in yesterday and are having a great time. James e-mailed me earlier and told me he just went online and entered these comments on Google about his current vacation. "We are a family of four and are presently staying in #1004. The condo is nice and spacious for our family. Being able to prepare our own meals in the full size kitchen cuts down on cost and allows us to enjoy our vacation. The condo is conveniently located, beautifully decorated which feels like home, and contains the items needed for a great stay. The amenities are great. The beaches and pool are nice and clean and the staff is courteous. We are having a wonderful time.‎"
I thanked James for the nice comments and told him to enjoy his stay. I failed to tell him I probable will check-in behind him for a short short vacation. My wife and I plan to attend that free concert on Sunday. Here is more information about the concert from the Destin Log. My parents recently purchased a condo (1004)at the Pelican Beach Resort in Destin Florida and it's right across the street from the Big Kahuna Water Park. You see, my Mom, well, she loves the water, lots of water, any water; so we decided to walk over to the Big Kahuna where there's lots of water. Wow! It was great. There were 40 different slides. Some you used tubes, some you didn't. Some were enclosed as tunnels that were dark yet had cool lights. Some were fast, and some had waterfalls. My favorite was the one that you shot out like a rocket. Man that was fun! They have two lazy rivers, but there's nothing lazy about them. You start the lazy river at the top and tumble down endless small drop offs where waterfalls and sharp curves await you. It was so awesome! We kids had fun, but my Mom had more fun than we did. She loved the excitement of the so called lazy rivers and the tunnels slides that were dark. Well I suppose the Big Kahuna made a big splash for our family. Can't wait to go back. Here's a few water park tips: Go in the morning as soon as it opens to find a shady spot, eat a good breakfast because you'll need the energy, plan to stay at least 5-6 hrs. to get your money's worth because it is pricey ($36 plus tax over 48 inches) , take your time, I repeat take your time there's no hurry. I hope you have as much fun as we did especially my Mom. We would love for you to stay at our condo at the Pelican Beach Resort Destin Florida Unit 1004. Call or text my Dad for great prices! 731 -589-7841 You too can be a Big Kahuna Kid! There's no better place to be than Destin Florida in the fall. The weather is delightfully warm, the beaches are like sugary sand, and the water is a sparkling emerald green, There's almost always a nice ocean breeze and that coupled together with the sound of the waves seems to make every concern, struggle,or worry instantly disappear. What is it about raising that brightly colored umbrella, setting your beach chair in the sand and just sitting and sitting and sitting? Well, I suppose nature is just a little louder than that of our everyday cares. Peace seems to wash ashore with each new wave while the cares seem to wash back out. Picking up every unique and strikingly beautiful seashell means laying down another care. Have you been to the ocean lately? I have the perfect spot reserved just for you. Can't you already feel the ocean breezes and hear the sound of the waves. Come, Come to the place where health and healing begins. The Pelican Beach Resort Destin Unit #1004 is waiting for you. This is the perfect condo overlooking the beautiful Gulf of Mexico. Call or text Mike Frazier at 731-589-7841 to inquire about a great Destin Beach Condo rental! Lynyrd Skynyrd is schedule in for a free "Rock the Beach 2" concert on Okaloosa Island on August 15, 2010. This is sponsored by The Emerald Coast Convention & Visitors Bureau & Okaloosa County Tourist Development Council, and kicks off at 6:00PM with Josh Thompson. I just looked at my calendar over on the left and my unit is not yet booked for this free concert weekend. 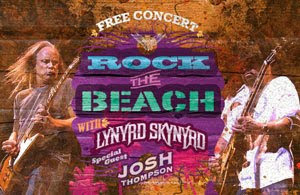 Hurry to book my Destin Pelican Beach Resort condo and attend the free Lynyrd Skynyrd concert. 11% Florida tax. If you are interested then call or text Mike at 731-589-7841. Update: 8/8/10 Someone just booked my unit from August 16(monday) and check-out on the 20th. I only have open Aug 14 and 15th. Last week when I was staying at the Destin Pelican Beach Resort there was lots of algae and sea weed in the water, however there was no oil or tarballs. Today my renter Shelly just told me the sea weed and algae is gone and all that remains is beautiful emerald green(almost blue) water and crystal white sand. Summer is almost over and the beach and water is gorgeous so hurry to book that last minute summer vacation. I can be reached at 731-589-7841(cell so you can text). Yesterday I checked on my two nurses who are staying in my Destin Pelican Beach Resort beach front condo. Shelly told me the condo is just beautiful and house keeping did a fantastic job cleaning up behind my family (we checked out 4 hours before they arrived). I asked her about the water and she said the beach is beautiful but there is still algae and sea weed in the water. I told her to walk up or down the beach and she would find a section that was clear of this. This stuff appears to move about. Shelly is booked for 6 nights and I know she will have a ball. I know VRBO recommends an immediate response when replying to inquiries about renting my Destin Beach Condo. However, it seems that every time I am on the beach, I get a call on my VRBO advertisement. I try to respond pretty promptly but told this lady today it would take me an hour or so to get back online to check my calendar. If you are reading this post, you can check the calendar over on the left for availability. Today the beach is perfect and the water warm but lots of algae floating in the water. We were expecting a tropical storm to move in late tonight but it appears the system came apart and only rain and wind coming in later tonight. By Monday the weather should be out of here and a return to sunny skies(like today). We only have a short time left on our vacation here at Destin's Pelican Beach Resort. After spending a couple of days with friends in Montgomery, we arrived in Destin yesterday. It really felt like homecoming. The weather is beautiful and the water and beaches as gorgeous as ever. We spent about 5 hours on the beach yesterday(there was no oil and no tar balls) and had a great time. The water was pretty warm and beach behind the Pelican Beach Resort pretty crowded. I asked Niki at the front desk(Resorts of Pelican Beach Destin) if their business was off because of the oil spill scare and she said probable 50% but the last couple of weeks there has been a surge of last minute vacationers(like me). This morning I am not sure what we will do but if my kids were a little younger they could participate in the youth activities set up by the Pelican Activities director. Here is the Pelican Beach Resort Youth Activities line up for today. After coming off the beach we spent about an hour in the outdoor pool and enjoyed the relaxation and shade as the pool is on the east side of the Pelican Building. About 2:45 central time the oil stopped leaking into the gulf of Mexico. I know people across the country are cheering this latest effort to stop the oil leak. Lets continue to pray that this continues and they get the oil spill slicks cleaned up. I told my Realtor in Destin Florida that this is sure to get the phones ringing again. I know it has affected the summer vacation rental season as well as devastated many livelihoods in that region. The operators are standing by at the Destin Pelican Beach Resort to take your calls and help you slip in that last minute Florida vacation. My family and I will be there on Monday for the entire week next week. Maybe we will see you there! Over the last week I have talked to several families here in Dyersburg,Tn who are headed to Destin and the beach beginning this weekend. I have a house listed for a client who told me he was headed out of town this weekend for vacation and I asked him where he was headed and he said Destin. I told him we would just meet up there as I am headed there also. I had a friend text me last night asking about availability of my unit #1004 at the Destin Pelican Beach Resort. I told her another renter checks in tomorrow and then my family on Monday followed by some nurses in Memphis who will finish out the month's rentals. I also told her I can recommend several other condos at the Pelican that are available in last part of July. If you are trying to get out of town for a short vacation to Destin, let me help you book a beautiful beachfront condo at the Pelican Beach Resort Destin. Guy Hansford just called me this morning to tell me this was a dream Florida vacation come true. I wrote about the Hansfords in my last post. They are on day 4 of a 6 day vacation. Guy told me the beach and water at Destin is just beautiful. The weather has been perfect as well. He said it is not too crowded but there are several families vacationing at the Destin Pelican Beach Resort. Guy went on to say how beautiful our unit 1004 is and how much they appreciate being able to stay in our unit and at the Pelican Beach Resort Destin. The Hansford family are some of our closest friends here in west Tennessee. The Hansfords check out Thursday and another family checks in on Thursday for 3 nights then my family checks in on Sunday for about a week. We still have a few days open this summer if you would like to rent our Destin beach condo. Just call or text me at 731-589-7841. I just got on the geoplatform government site and plugged in the date of July 9, 2010 in search for the projected oil slick location in the Gulf of Mexico. This seems to reflect what we have been hearing that the slick has been pushing more to the west and has even hit the Texas coast. Now would be a good time to book your summer vacation to Destin and the Pelican Beach Resort. My phone number is 731-589-7841. 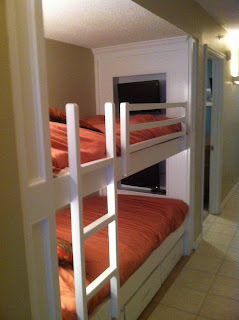 I had a friend from church Sunday ask me about handicap units at Destin's Pelican Beach Resort. I told her I only knew of one unit totally handicap accessible and that one is at the Terrace Building(at the resort but not on the beach). 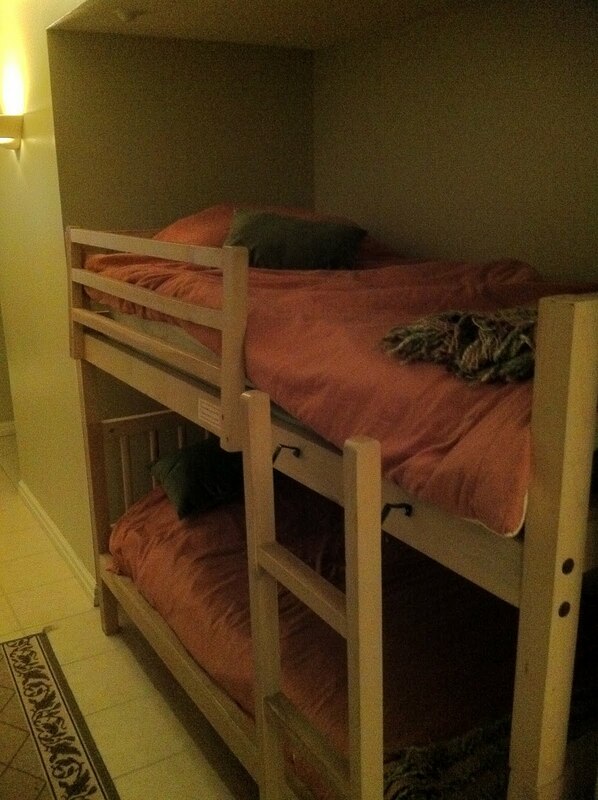 I wrote a earlier post about handicap units at the Pelican Beach Resort Destin. I just called the Pelican Beach Resort(850-654-1425) to check on availability of that one unit(#102) and they told me it has a long term renter in there so is not available anytime soon. I also found out that several 1 bedroom and 2 bedroom units are available in the Pelican Building(on the beach) that are almost as handicap accessible. They have wider exterior doors and interior doors that are 34" wide. Their guest bathrooms(in hallways) all have walk-in showers with grab bars. Please confirm all this information before booking one of these units. The 2 bedroom units are 414,418,518,616,618,718 and 816. The one bedroom units are 104,204,407 and 408. If this information is helpful, please use my booking code A1080 when you book your vacation. I received an e-mail from the Destin Pelican Beach Resort management company concerning the beaches in Destin Florida. Here is a link to information and pictures of the beaches in and near Destin. According to the information on the Pelican site, favorable winds have really helped Destin beaches escape the main effects of the gulf oil spill. As of July 5(today) there is no oil washing ashore in Destin and only a couple of instances of small tar bars which were quickly removed. My Destin condo on the beach continues to stay rented mainly because I reassure everyone that they have no way to lose money if oil did come ashore(complete refund for unused portion of their reservation). The beaches at Pelican Beach Resort in Destin Florida sure aren't an indication of a major oil spill or at least not yet. On two different occasions scattered nickel sized tarballs wsshed up on shore, yet because of the expediancy of the clean up crews the balls were quickly removed leaving the beaches as clean and pristine as before. I have such a passion for the beautiful white sugary beaches in Destin. I have spend the last 30 years enjoying Destin's beaches and have never once been disappointed. Sure there have been rainy days, days that the beach may have been a little crowded, days when a cold front came through, but due to my love for the beach that was ok.
Destin has really developed in the last 10 years. There are a lot of condos, restaurants, shopping areas, and activities for the entire family and yet if its solitude you're needing, like myself, then the beach is the daily place for you. Unplugging myself, watching each wave wash up to shore and feeling the soft sand between my toes is the healthly life for me. It's the greatest R&R. Arent't you getting tired of all the bad news on the television talking about the Gulf of Mexico oil spill? I am an owner of a condo on the rental program at Destin's Pelican Beach Resort. My one bedroom condo(on the beach) in Destin is pretty much booked for this month and we really have not had many cancellations because of the oil scare. Please bookmark this site and return here when you are ready to stay in one of Destin's nicest and best priced condos directly on the beach. This post will be updated every 2-3 days. The weather has been sunny in the lower 80's and people are enjoying the beach. I have been following NOAA's projections for the oil spill slick and continue to be encouraged that it will not really come ashore in Destin area. Here is a map of the gulf coast and as you compare it to the NOAA map down below remember that Destin is just below and 1/4 " to left of the "F" in Freeport. 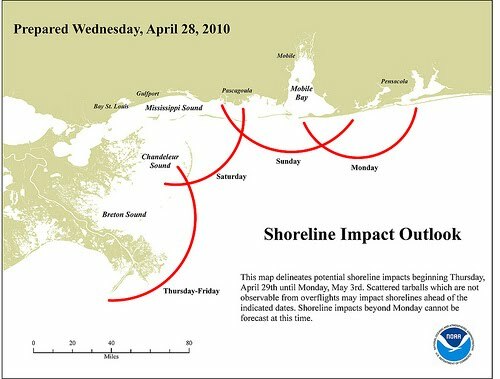 Here is a NOAA projection of the oil spill flow as of Saturday June 19, 2010. This was updated Friday June 18th. Here is a NOAA projection for off shore oil slick as of Sunday June 13th at 1200 CDT. Update: 5/28/10 Here is a oil spill history of movement and projected movement that was composed by Dave Merrill and Anne Carey at USA Today. Their sources used are NASA, U.S. Coast Guard,Transocean, and BP. I have a friend who is booked at in a condo in Panama City in June and she was told she could lose her deposit if she cancels her Florida vacation within 30 days of the reservation. I only wish she had booked with me and/or the Destin Pelican Beach Resort as we have a great Gulf of Mexico Oil Spill cancellation policy. To see my latest updated post about the oil spill please click here. Here is the latest projections by the NOAA as it concerns the oil spill in the gulf of Mexico. This oil slick projection was prepared today May 14th, 2010 and it reaches out over the next 72 hours(Monday May 17th). To get updated information about the oil spill please click on my title up above(Destin Pelican Beach Resort) and you will find later posts. Everything is perfect for your vacation to Destin and the Pelican Beach Resort. Please contact me even if you do not see your dates available on my calendar. I have been getting a few cancellations due to the oil scare and have not completely updated my calendar. Also, please bookmark my site for your next Destin,Florida vacation. I just received this e-mail from the Pelican Beach Resort Management company concerning what is going on with Destin Area beaches as it concerns the gulf oil spill. The beaches in Destin and all along the coast of northwest Florida remain unaffected by the oil spill which occurred off of the Louisiana coast on April 20, 2010. There have been no tar balls, smells or any other kinds of oily effects on our sugar white beaches and emerald coastal waters. Local and state officials remain confident the effect, if any at all, will be minimal - especially if wind and current conditions continue to move and hold the oil spill further west in the Gulf. Daily clean-up plans have been devised and crews are poised all along the gulf coast in the unlikely event any residual effects are found in our area. Your vacation is important to us! Our revised cancellation policy is your confidence for a pleasurable vacation experience to the Resorts of Pelican Beach and Destin! We are advising all guests of Pelican Beach Management to please wait until closer to your arrival date before canceling due to the oil spill. If, at that time, it is necessary for you to cancel your reservation because of eminent oil landfall in the Destin area, you will not be charged for a late cancellation. If you are already at Pelican Beach Resort or The Terrace at the time of landfall, you will be refunded any unused portion of your rent if you choose to check-out early. Sizzling Summer Early Booking Sale - Save Up To 20%! There's nothing like a family vacation. Here's your chance to enjoy your summer in your favorite summer destination with a great offer for the Resorts of Pelican Beach! SUMMER SEASON EARLY BOOKING DISCOUNT OFFER: Take 20% off daily rates on a four to six-night stay or 15% off weekly rates from May 28 to July 1, 2010 and July 7 to July 29, 2010 when booked by May 20, 2010. Here is the latest oil slick projection from NOAA for the next 72 hours up until sometime on Saturday 6/19/10. Here is a link to my post where I will continue to update it as it concerns the location of the oil slick. I will continue to keep my readers updated for the latest information as it pertains to your vacation plans in the Destin area. Again, there is no oil anywhere near Destin and the Pelican Beach Resort. Here is a link to current Pelican Beach "beach" pictures and other useful information. It is in the mid 80's in Destin and oil is all over the bodies tanning on the beach. We have been blessed in Destin not to have any of the oil coming in to our beaches. Hopefully, that will never happen. I am getting lots of requests for discounted pricing because of the oil and that is exactly why we do not have any discounted pricing; we do not have any dirty oily beaches. They are sugar white. 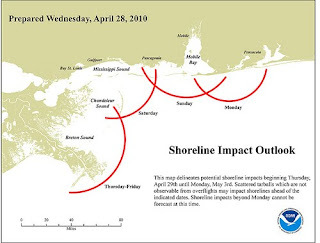 Here is a link to the latest projections on the oil spill in the Gulf. Many of you will find this blog post/website so please bookmark this site for future reference for when you are ready to book your Destin Beaches vacation at the Destin Pelican Beach Resort. I will continue to keep my readers updated on the Gulf of Mexico oil spill as it may or may not affect Destin,Florida. To see my latest posts concerning the Gulf of Mexico Oil Spill please click on the title"Destin Pelican Beach Resort" up above. Here is the latest oil projection for June 19th at 1200 CDT. This is provided by NOAA. The Destin Pelican Beach Resort amended their cancellation policy so there is no reason why you should not go ahead and book your Destin beach vacation. Currently the Resorts of Pelican Beach Destin is running an early booking special if you book your vacation by the 15th of May. Here is a link to that early bird booking discount. If you contact me to book my one bedroom unit #1004(sleeps 6) I will give you an additional 10% discount on top of the Pelican Beach Resort discount(if we get the reservation completed by May 15th).If you do not see availability on my calendar, please contact me anyway as I may have a cancellation. My direct number is 731-589-7841. As a condo owner at the Destin Pelican Beach Resort, I just wanted to share with all my readers the e-mail I got yesterday from the management company at the resort. As Okaloosa County officials monitor the current situation in the western Gulf of Mexico, the shores along Destin and northwest Florida beaches look fantastic! The sand is still sugar white and the water is as emerald as ever. So, if you’re planning on visiting now and throughout the summer, please keep those plans! Over the past 48 hours, the winds have shifted in favor of Florida’s beaches pushing the oil further west in the Gulf of Mexico and away from our shores. This will allow more time for containment and treatment by the ever growing fleet of vessels throughout the gulf waters. State and local officials are gaining some confidence that preventative measures will be successful. Because changes come about hourly and 30 days is a long way away, we are asking you to wait before canceling your vacation, especially those of you who are scheduled to arrive more than 30 days from today. Rest assured, we will keep you informed over the coming days and weeks regarding any changes in conditions. So, please feel free to make your reservation with confidence knowing you have flexibility if the need arises. I just pulled up the latest projections for the movement of the oil spill and was surprised to find out that experts are now projecting a more westerly movement of the oil spill. Here is the latest satellite view! There is no oil in the water at Destin,Florida and the water and weather are just beautiful. Top this off with a beautiful resort like the Destin Pelican Beach Resort and your Florida vacation will be fun,fun,fun. If you tried to book earlier but could not please try again. Some are cancelling their vacation because of the oil spill scare but let me reassure you that nothing has changed in Destin. Just got this latest location of the oil spill off the Louisiana coast. I am cautiously optimistic that this spill will be capped 80-90% this week and since this is light crude, they should be able to disperse it with chemicals according to this Oil Expert. Engineers said the type of oil pouring out is lighter than the heavy crude spilled by the Exxon Valdez, evaporates more quickly and is easier to burn. It also appears to respond to the use of dispersants, which break up globs of oil and help them sink. The oil is still capable of significant damage, particularly when it is churned up with water and forms a sort of mousse that floats and can travel long distances.